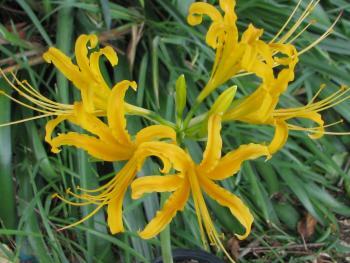 We know and love Red Lycoris aka Red Spider Lily aka Suprise Lily but bright yellow? How cool! These just came in this week and we just had to let you know. The flowers appear in early fall before the foliage, hence the suprise, and after the late summer rains. Then the foliage appears, staying green all winter long.